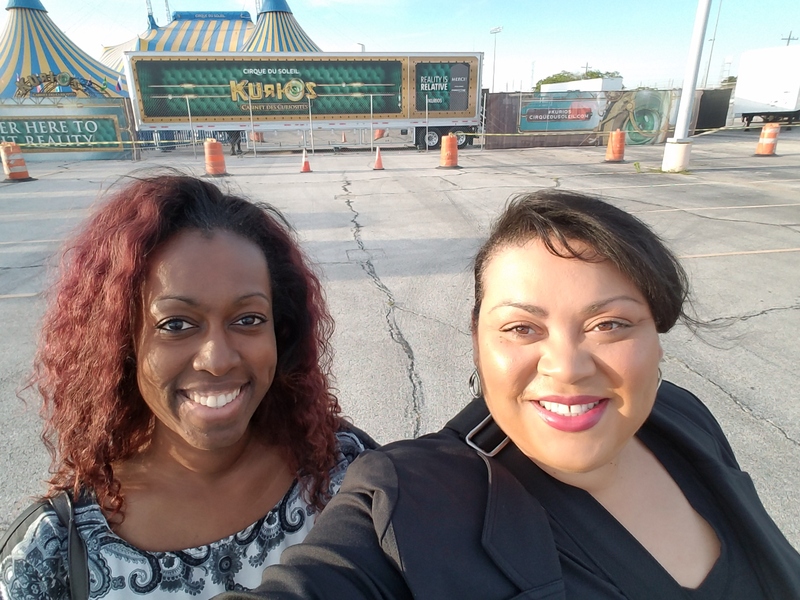 Cirque du Soleil has brought its high-flying, jaw dropping, lively show Kurios – Cabinet of Curiosities to Houston and we were invited to attend opening night! 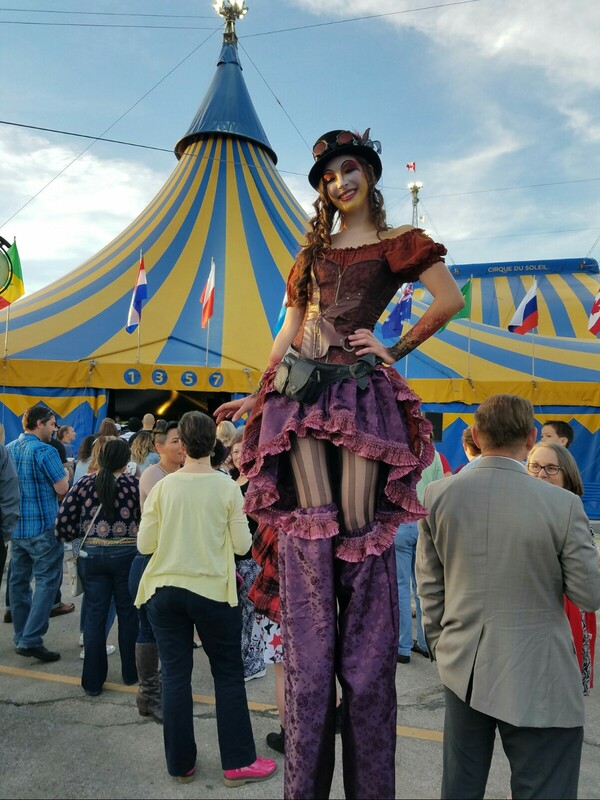 The show took place under the blue and yellow Big Top at Sam Houston Race Park. It was really a first-class event. Even the porta potties were clean and far fancier than your typical outdoor concert or festival (complete with outside hand-washing stations). Throughout the show, we were continuously amazed at the sheer precision, poise and athleticism of all the performers. Definitely a sight to see. The show is long (about two-and-a-half hours including a 25-minute intermission) with 13 acts. 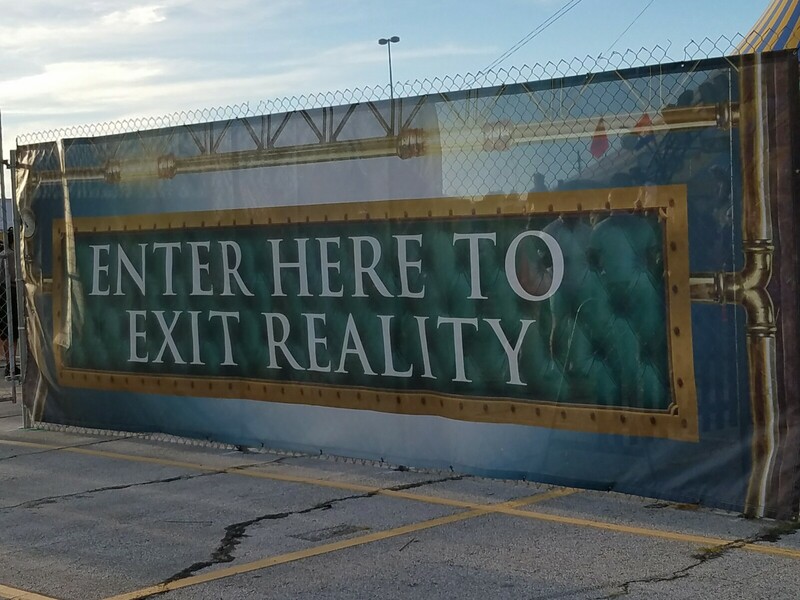 And as the title of the show suggests, Kurious is all about engaging your imagination. 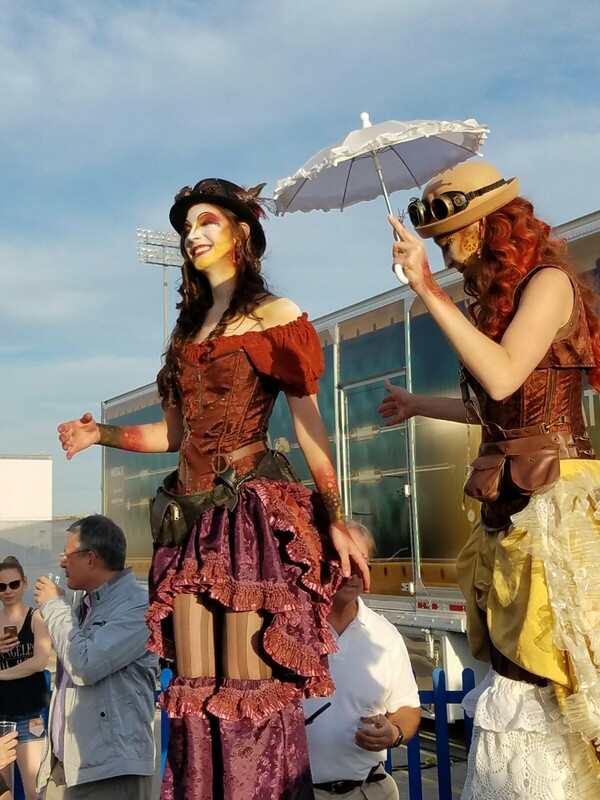 It has just enough oddities, humor and acrobatics to keep you entertained throughout each performance. Now there was no photography allowed during the show and we wouldn’t want to spoil the fun for you anyway. Because seriously, you need to go check this out! Bring your husband, wife, significant other, kids, grandma, whoever! 2 Girls Who Travel note: we enjoyed all of the acts, but the contortionists were uh-ma-zing!! 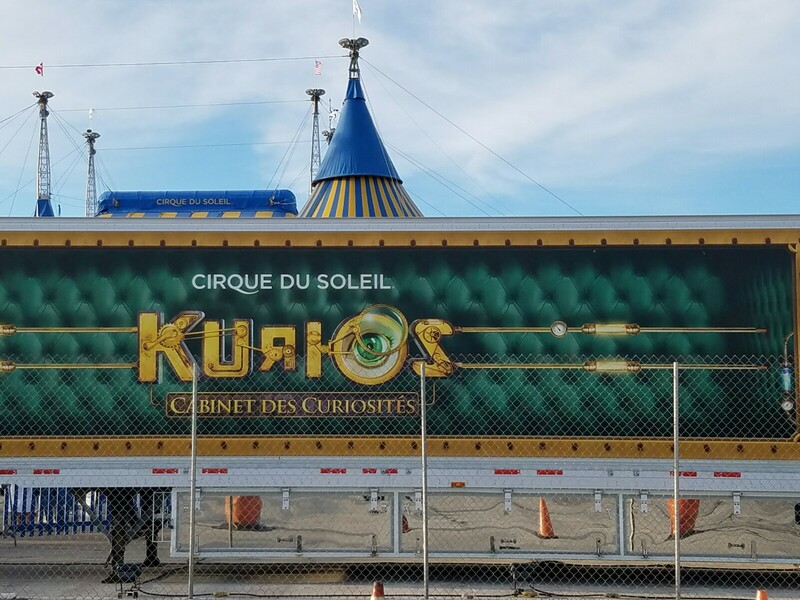 Kurios – Cabinet of Curiosities is running in Houston through May 21, 2017. Click here for more details.